Lessons from US Soccer’s Coverage of the Women’s World Cup. A really good recap by Jessica Smith of SocialInSport of how social media can really enhance a fan’s experience whilst watching live sports (in this case, women’s football), as well as some general lessons for everyone who works in social media. The article shows how much time and effort went into having this near-seamless social media presence during the Women’s World Cup in Canada. The biggest obstacle with social and live sports is the expiration date of their content; as soon as one thing has happened on the pitch, something else will happen shortly after and content that can be easily uploaded during the match is therefore vital. Even during down periods i.e. 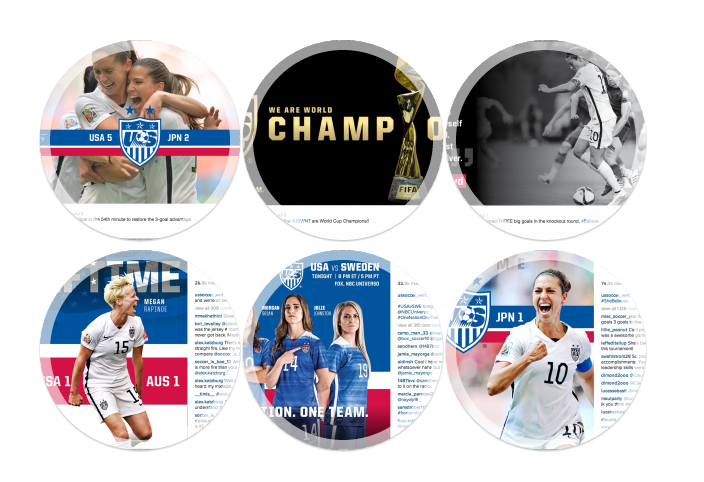 when matches weren’t on, USWNT pushed out varied content to continue the buzz of the team’s success in order to keep fans engaged. Behind-the-scenes stuff, particularly for professional sports, is hugely sought after by fans and the social team pushed out a lot of that kind of stuff. Get personal with your content, not creepy. I couldn’t agree more with the first line of this article: “A personal touch makes a big difference in marketing”. I’m less sure about the term ‘extreme personalisation’. It evokes negative connotations to me, and sounds like us marketers are out to exploit. Having said that, I agree with most of what Sylvia writes; marketers have so much data at their disposal nowadays that we can ill-afford to ruin our chances with potential customers by sending out a mass-email blast and think one-size-fits-all. New Harvey Nichols Ad Campaign. Harvey Nicks are at it again. Their advertising campaigns in the recent past, done by Adam&EveDDB, have been… risque, shall we say. This is no different. Carrying on from their Christmas, “Sorry, I spent it on myself” campaign and their ‘walk of shame’ spot, this ad campaign centred around HN’s new Rewards app is equally controversial, showing real shoplifters at work at their stores across the country. It works in two different ways too; the real reason behind the ad (download our app, get freebies), as well as saying, “look what happens when you steal from us”. A nice break from the glammed-up and monotonous fashion advertising you get from everyone else. The stronger-than-titanium Turing Phone is not just another smartphone. It’s not often that you get a ‘gamechanger’ (and that is a horrible term to use) in tech, but this might well be one. I love everything about it. Turing release their seemingly ‘unhackable and unbreakable’ phone for pre-orders on July 31st, which as the article says, is perfect for those people who are very conscious about their data. It’s also stronger-than-titanium, which anyone that has seen my phone in the past couple of weeks can attest to, suits me down to the ground as my Xperia Z3 has succumbed to a destroyed screen for the second time. How graphic designers photoshopped images before Photoshop existed. Well, let’s just thank whoever we have to thank at Adobe that we have Photoshop nowadays. The video from Lynda.com (who provide tutorials on all kinds of software), shows how laborious the process was to create a print ad. I certainly am much better with the crop tool than I would be with a surgical scalpol. We hope you enjoyed this, keep an eye out for next week’s. Have you seen anything great this week, please share them in the comments!